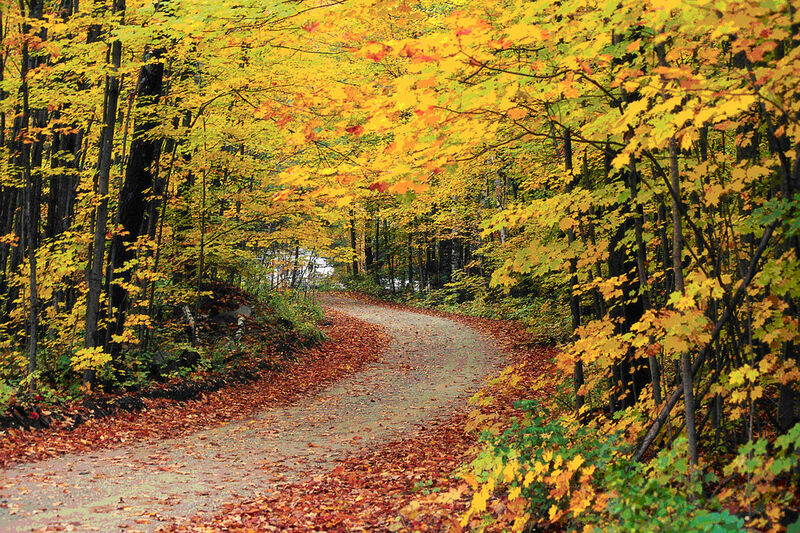 Autumn…Did You Know It’s a Symbol of Death? I’ve always hated Fall. Autumn. 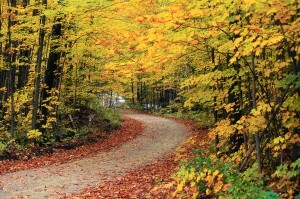 The changing of leaf colors. The cold breeze. The way the sunlight seems to cast down upon us differently. Longer hours of darkness. Wet rain. Back to school. Hardly anything interesting on the church calendar. The stupid “holiday” of Halloween. The death of my best friend Roberto (+11/19/2008). Sweaters, long pants. Unpredictable weather: mornings cold, afternoons hot. Animals going away. Heating bills increasing. Seemingly more tired. The following is an excerpt from my upcoming book, Finding the True Orthodox Church. The book consists of a series of chapters which address various objections to True Orthodoxy. This is the introduction to a chapter which addresses the question, “Are True Orthodox Vagantes?” This charge is sometimes leveled against the True Orthodox, by comparing them to various pseudo-churches with no legitimate heritage, in an effort to paint the True Orthodox as pretend clergy and poseurs. The chapter will explore the differences between True Orthodox and Independent Orthodox (i.e. vagante) groups, to demonstrate that the two movements have nothing in common, despite the fact that some Independent Orthodox groups call themselves True Orthodox. 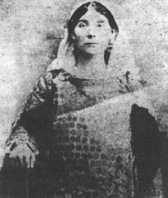 THE HOLY NEW MARTYR Catherine Routis was born in 1900 in a small Greek village called Mandra in Attica Greece to poor but pious parents. Like her parents — John and Maria Peppas — Catherine was a pious child, offering to help family and neighbors in any way possible. At the age of 22, Catherine Peppas married Constantine Routis from the same village. Christ gave them two children, Christos and Irene. Today I was talking to a historian friend on Facebook. He mentioned how he loves pouring over reams of historical data, something which bores other people to tears. I told him I share his passion. That sparked a memory of a most curious and interesting event that occurred during the writing of my thesis on Metropolitan Petros of Astoria: my journey into the heart of the Russian Orthodox Church Outside Russia (ROCOR). 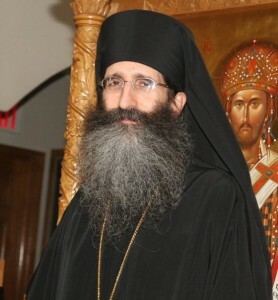 While a seminarian at St. Vladimir’s Seminary in nearby Yonkers, New York, I became interested in the Greek Old Calendarists, much to the chagrin of some of my professors and fellow students (one fellow student, seeing an issue of Orthodox Tradition with my name on it in the mail room, dramatically exclaimed to me, “tell me this is not where your heart is!” while a professor walking by me in the library and seeing me reading the same remarked, “you don’t really believe that s*t, do you?!”) . 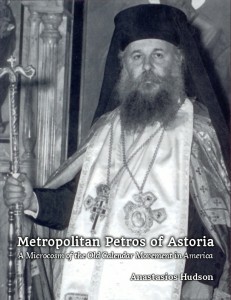 After investing hundreds—if not thousands—of hours researching the Old Calendarists, I decided to do my thesis on Metropolitan Petros of Astoria, the first legitimate Greek Old Calendarist bishop in America, ordained by ROCOR bishops in 1962. As part of my research for the thesis, I realized I would need access to the ROCOR Synodal Archives, where many documents pertaining to the ROCOR and its relations with the Greek Old Calendarists were kept. One of my fellow seminarians was a ROCOR monk who had recently returned from a monastery in Europe to continue his studies, and was given a blessing to attend St. Vladimir’s Seminary to do so. When not at the seminary, he resided at Holy Trinity Monastery in Jordanville, New York, where Metropolitan Laurus (+2008) lived as well. He spoke with the Metropolitan, who granted me permission to do research in the archives, located at the ROCOR Synodal headquarters. 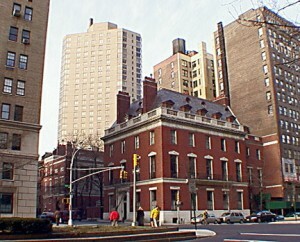 ROCOR’s international headquarters, often colloquially referred to as simply “Synod,” is located at 75 E 93rd Street in New York City. This building is part of The George F. Baker Houses, an iconic family compound of houses right off of Park Avenue in Manhattan, and was acquired by the ROCOR Synod of Bishops in 1958. It houses the Cathedral of Our Lady of the Sign (which was formerly the mansion’s grand ballroom), administrative offices, a kitchen, an apartment for the resident bishop (at that time, Bishop Gabriel lived there), and many individual rooms, some of which are inhabited by people who work at Synod, such as the tireless musician, translator, and composer Isaac Lambertsen. On the appointed day, I arrived at Synod to meet my monastic friend. An older gentleman manned the door, dressed in a suit and tie, reading a Russian newspaper, and occasionally answering the phone. The lobby was immaculately clean, although the lighting was dim—what would become a recurring theme. I announced who I was, and he phoned my friend, who promptly came downstairs and greeted me. He then proceeded to give me the tour. Synod was sort of like something similar to Walt Disney World’s Haunted Mansion. It’s a huge building, half empty, with numerous winding hallways and staircases. But as one transects the numerous floors, instead of encountering ghosts doing various tasks as in Disney World, one instead would find various individuals quietly going about their business. Some were working, while others were sitting around conversing in low voices. If this were a Greek Orthodox operation, the noise level would be five times higher, and the various hangers-around would be more welcoming and animated, but as Synod is a fully Russian institution, the result was a rather low key experience where one had the distinct impression that people were at best indifferent and perhaps even mildly hostile to the presence of strangers. In the kitchen, older women cooked, which is something that happens in all Orthodox institutions where there are kitchens. I recall being offered soup or something likewise hearty. My friend and handler then took me to a small door with a small pane of glass. Opening it, there was a bricked in wall. Visions of someone being bricked in as a medieval punishment came to mind, but a far more tame explanation was offered: the original owners were so rich, that they had their own subway stop for the workers to use daily, but as New York modernized and reorganized its subway system, such perks for the rich were gradually phased out, and the stop was bricked in. Adventurers would love to go into those abandoned tunnels, I’m sure. Going to one of the upper levels, we sought out Isaac Lambertsen’s room to greet him. Isaac and I had communicated a few times by email, and have a mutual friend in common. As I recall, the hallways were not straight, but rather formed something akin to an L-curve or perhaps a V-curve. The hallways were again dimly lit, and I admit that were I living there, I would be afraid to walk those halls at night, for fear of whatever person might have made it past the old man guarding the door and then laying in wait in one of the many empty rooms! Well, now I am being dramatic—I am sure they have a security system Nevertheless, there is something romantic about walking around narrow, dark, dimly-lit hallways in a mansion in Manhattan off Park Avenue, and it’s a memory that will stay with me forever. Finally, we arrived at the archives. At the time, Fr. Seraphim Gan was the archivist, and after the appropriate introductions, I was allowed access to the eight boxes on Old Calendarists. Boxes 1-7 were chronologically-organized, while box 8 was solely focused on one individual who has been in the center of some controversies in the history of the Old Calendarists. About half the material in that box was supportive, and the other half not-so-much. Beyond the Old Calendarist materials, there was a filing cabinet labelled in Russian, “Their Graces in Schism,” which was locked. I was told it pertained to those bishops whom ROCOR considered to be schismatic at the time, such as Metropolitan Valentine of ROAC. Also, there were filing cabinets with archives from Synodal meetings. All of the earlier material was solely in Russian. My friend pulled out one document from the 1950s, where Bishop John (Maximovitch)—now St. John—voiced support for the Old Calendarists and ordaining bishops for them, but when I asked if I could copy said document, I recall being told it was, “outside the purview of my blessing” or something to that effect. Indeed. We Americans do not have old castles or palaces. What we do have are old estates. Mt. Vernon, Monticello, and the like are all famous places where one can go and see a glimpse of life from a different age. ROCOR’s headquarters is also an estate; an urban estate and an oasis in the midst of the great hustle and bustle that is New York City. It clearly was in decline at the time I visited in 2005, but the people there had dignity nonetheless, and carried on their duties faithfully. I had mixed emotions about my visit: respect seeing a venerable religious institution; admiration of a work of American architecture; dismay at seeing the decline of what was probably once a vibrant community of co-laborers for the Gospel living in community; and a profound sadness that ROCOR would soon be reuniting with the Moscow Patriarchate, despite the serious reservations of many (for those who did not follow this course, see here). I was also grateful that I was able to see something that most people would never be able to see. Being a historian—even an amateur one—is something that opens up doors and contextualizes life. I was able to copy several hundred pages of documents from the ROCOR archives, which formed the nucleus for my work on Metropolitan Petros. In the process, I had a lot of fun exploring this intriguing and mysterious place, as well. Are You a Convert? Tell Your Story! Are you a convert to the GOC under Archbishop Kallinikos, our sister Russian Church (the ROCOR under Met. Agafangel), or our sister Romanian Church? Would you be willing to share you conversion story? If so, please contact me at anastasios At anastasios.hudson DOT com. I will be editing a collection of conversion stories and would love to have your contribution. You can help others sort through the issues and make the decision to join our Church! Part of my ongoing Correspondence series, featuring replies to people who contacted me and asked questions. Since the last time we talked I have looked into some other “true” churches and have been absolutely appalled at much of their beliefs. However, this is still not the case for your church. Who from what I see is teaching the same Orthodoxy of the Holy Fathers. I’d be curious to know which other “true” Churches you have investigated and which teachings of theirs you find appalling. It seems to me that many in this day and age imitate the Greek Old Calendar Church. In other cases, there were former members of our Church that left us and went down an unsober path. I still have a few more questions to ask, if you don’t mind, brother? I don’t mind; please ask me as many as you wish. 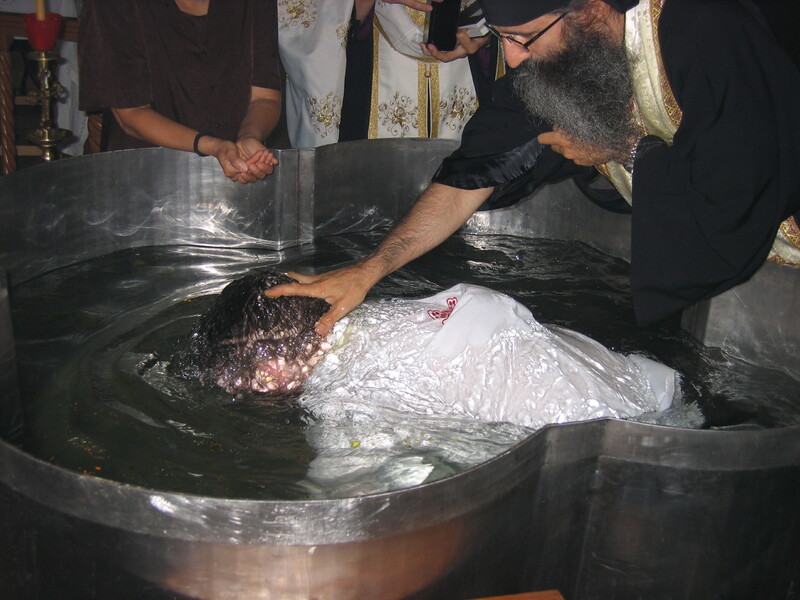 I was baptized and chrismated in the Greek Orthodox Church under the EP. I have been and continue to attend an OCA church where I will be tonsured a reader soon. If I were to visit one of your churches would I be considered a heretic? Or would be I be considered Orthodox but lost in a sea of modernist heretics? What is the view from your church’s perspective? We do not make it our general business to prejudge people. If you were to visit our Church, you would be treated as an Orthodox Christian. If, after the fact, you espoused modernistic or ecumenistic viewpoints, we would have to reassess our opinion, but from our previous discussions, I highly doubt that is the case Now, we have a different view when it comes to certain hierarchs and priests in your Church that officially teach Ecumenism and branch theorism; this scandalizes us and we must state that those bishops who are praying vested with Roman Catholics such as Patriarch Teoctist in 1999 are acting in a heretical way. That raises the problem of how we could presume someone like you to be personally Orthodox when you may in fact be under an Ecumenist bishop. Based on our conversations, I believe that you personally have an Orthodox confession of faith. If you realize that your bishop is heretical, and yet you continue to commune with him, you will, however, take his heresy onto yourself. For this reason we do not espouse resistance from within the New Calendarist Ecumenist Church, as we previously discussed when talking about Fr. Justin Popovich. Canon 15 of the 1st-2nd Council states that we are to separate from heretical bishops. Of course, some are of the opinion that Ecumenism is a mistake, but not a heresy, and therefore believe it is wrong to separate. We wish such individuals well and pray that their approach will bear fruit, for ultimately the goal of both approaches is to confront false teaching and restore communion between us. We don’t believe that that approach will ultimately bear fruit, nor is it the method found in the Fathers. We believe that our approach is the correct one, so we would ask you to prayerfully consider breaking communion with your present bishop and come under a right-believing bishop. I have heard words like Matthewites? These words have nothing to do with your church, the Genuine Church of Greece, right? Have you studied revolutionary theory? I hesitate to compare the Holy Church of Christ to a movement, but as you may be aware, in a revolution inevitably the idealogues become dissatisfied with the new order once they have “won” and are often marginalized by the centrists. In a similar fashion, after the three Metropolitans of the State Church of Greece returned to the Old Calendar in 1935, and consecrated four bishops to assist them, one of these bishops, Matthew, became angry that the Synod began to take a softer approach to governing after many years of polemical rhetoric (I am not suggesting the rhetoric was wrong, but merely that it was considered overly polemical to some). One of the Metropolitans, Chrysostomos of Florina, concluded that the best solution would be to encourage the State Church to return to the Old Calendar and renounce Ecumenism, instead of battling it in the open so to speak. Bishop Matthew believed this conciliatory approach of our Synod was a caving in to the New Calendarists and split, forming his own Church and consecrating his own bishops. We cannot accept such a questionable practice. Since then, the Matthewites have become increasingly isolated to the point that they believe they are the last remaining Orthodox on Earth. We heartily disagree. On a personal note. I find it interesting how a convert like yourself ended up in this jurisdiction. If you don’t mind telling me how it unfolded for you, I would love to hear it? I had always been aware of Old Calendarists since I discovered Orthodoxy, via reading the website OrthodoxInfo.com, which used to have many Old Calendarist articles on it. I went to St Vladimir’s Seminary as a Catholic to learn about Orthodoxy more, and in the course of studying there and taking some classes that were supportive of Ecumenism, I came to the conclusion that Ecumenism hinders evangelism of non-Orthodox. I also believe that the practice of receiving converts by chrismation alone cheats them out of a great grace. There are of course other issues, but these were two big issues. I began to research Old Calendarists more and decided to do my thesis on the first Old Calendarist bishop in America, Metropolitan Petros of Astoria. I began to go to St Markella’s Cathedral in New York, which was 20 minutes from where I lived at St Vladimir’s. After graduating and moving back to North Carolina, my wife decided to finally join me in Orthodoxy, and so we were baptized in St Markella’s. I hope this answers your questions and I hope I have not offended you. Please let me know if you have any more questions. I am always glad to answer them. Also, please tell me a bit about your journey to Orthodoxy. Please see the article Why The True Orthodox Are Truly Orthodox for a thorough analysis of this point. Thanks be to God, I have finally published my book, Metropolitan Petros of Astoria: A Microcosm of the Old Calendar Movement in America. This book, which was originally my Master’s thesis at St. Vladimir’s Seminary (2005), has been edited and corrected, and formatted for publication. Please purchase your copy today, and help support me in my writing career! Your support will enable me to continue writing additional works such as this in the future! Part of my ongoing Correspondence series, featuring replies to people who contacted me and asked questions, mostly when I served as a priest (2008-2013). I’m not surprised that you are struggling with the issue of how to view the New Calendarist elders. Almost everyone who comes down this path has to confront this issue. I also had to consider it, of course. As you know from my article I sent you, I do not believe that struggling from within makes any sense or is good for the soul, and I think that “elderphilia” is a cancer in modern Orthodoxy. To me, the idea that one would not follow ecclesiological principles to their logical conclusion because there is someone who is holy on the “other side” seems to be a subversion of the proper order of theology. For instance, we of course have our elders (such as Elder Ieronymos of Aegina)…does that mean that Elder Ieronymos, who left the New Calendarist Church in 1942, is a fraud? Or does it mean that there are true elders on both sides, and it really doesn’t matter which side one is on? Or perhaps it does matter, but God blessed people who made the wrong choice anyway, but who were sincere? These are all possibilities. However, seeing that one would have to consider all these possibilities, I do not see how any of them would supersede wanting to be under bishops who are Orthodox, because the Church is where the bishop is, not where the elder is. Look at Church history, and try to find how many times a charismatic figure ultimately won out against the episcopacy? Whenever there is a dispute between bishops and monastics, the bishops almost always win. So how do I and other Old Calendarists deal with the people you listed? We could discuss each one individually, but I will instead just give you the highlights, and we can follow up if you wish. Fr. Paisios was in delusion, I believe, owing to the many false prophecies that he gave. Of course none of these are mentioned by his supporters, especially not in English translation. However, in Greek we have published some of the most notorious ones, such as his prophecy that he would die on Athos (which didn’t happen) or my favorite, his telling a Greek colonel that he would be the one to liberate Constantinople from the Turks (the colonel retired without having ever received even a promotion). We have thought about translating these things into English, but that is a double-edged sword. If we do, then we might be accused of being evil, mean-spirited, spiteful, partisan, etc. If we don’t, then we let misconceptions remain and are accused of not having an answer. In regards to Fr. Joseph the Hesychast, Bishop Petros knew him on Mount Athos, and in fact, thought he was in plani (delusion) for returning to commemoration. Fr. Joseph’s sister remained a non-commemorator/Old Calendarist. Fr Justin Popovich was a great author, and in fact, he broke communion with the ecumenist Serbian patriarchate, although not all of the Serbian bishops. While it would have been best for him to completely leave, the fact that he recognized that communion with a blatant communist and ecumenist was impossible and that he therefore broke communion with him speaks volumes of his character. I know little about Elder Cleopa. In regards to Met. Chrysostomos of Florina, two points should be considered. The first is, that while he was reticent to deny that New Calendarists had grace (although he eventually did, publicly) he still did not think it was possible to have communion with them. Secondly, he viewed the situation which was still at play in the Church of Greece; there were hierarchs telling him that they wanted to return to the Old Calendar. He softened his position from 1937 to 1950 because he second-guessed whether a hardliner position was right, seeing that there was still “some hope” in the state Church, a struggle for Orthodoxy…that failed, ultimately. That was in the 1940′s, also—things have gotten qualitatively worse since then, I think we can all admit. As for the idea that we haven’t entered into “blatant” concelebrations or heresy, can you honestly watch this video and say that? My “favorite” part is where Met. Christodoulos admits they rejected a large number of Uniates in Italy who had applied en masse to the Ecumenical Patriarchate in the 1960′s, because they didn’t want to set back ecumenical dialogue with the Vatican. That isn’t heretical? As for the question of feeling peace or not, I am not sure what to tell you. I felt peaceful when I joined the Catholic Church, I felt peaceful the first time I went into a New Calendar Church, and I felt peaceful when I went to the Old Calendar Church the first time…I don’t make much out of feelings. For the record, when I was baptized at St. Markella’s, I experienced something different than “peace,” namely illumination of the nous, which lasted about 10 minutes. During that time, reality changed. It was like I could see beyond what was in the room, and I experienced other realities. When my thoughts went back to worldly things, I lost the feeling. When I was ordained, I felt fire reign down on my head. When I have prayed for people, I have felt “electricity” go from my hand to them, and they likewise have felt it. What to make of all these experiences? I suggest you see experiences as secondary to proper ecclesiological concerns. I hope it gives you something to think about. You are in my prayers. An as-of-yet unpublished manuscript titled Resisting from Within: A Personal Testimony, in which I draw on my experience as a Eastern-Rite Catholic trying to be more Orthodox in practice and use this to argue against the idea of resisting the heresy of Ecumenism, Modernism, and the New Calendar from within the New Calendarist Church. We subsequently did translate the incident with the colonel into English here. After I wrote this letter, we received a large group of clergy and faithful from HOCNA, and some of them brought with them a personal devotion to Fr. Joseph. The argument that HOCNA put forth was that Fr. Joseph reacted to extremism, but if he had been alive in 1965 when the anathemas were lifted, he would have stopped commemorating again. I do not believe that this is a proper line of argumentation, since the Church of the GOC of Greece had already ruled the commemorators as schismatic, but I do not wish to quarrel needlessly with other bretheren. Vladimir Moss, “The Fall of The Serbian Church.” I do not generally recommend the writings of Vladimir Moss, due to their polemical and political nature, but occasionally he does write some great material. Please use caution with other links on that site.